Give your guests a reason to dress up! Consider a ball for your organization’s next fundraiser, and let your attendees know about it with the Dinner Dance Invitation. Featuring an elegant lady decked out, this invitation template will generate real excitement around your next event. 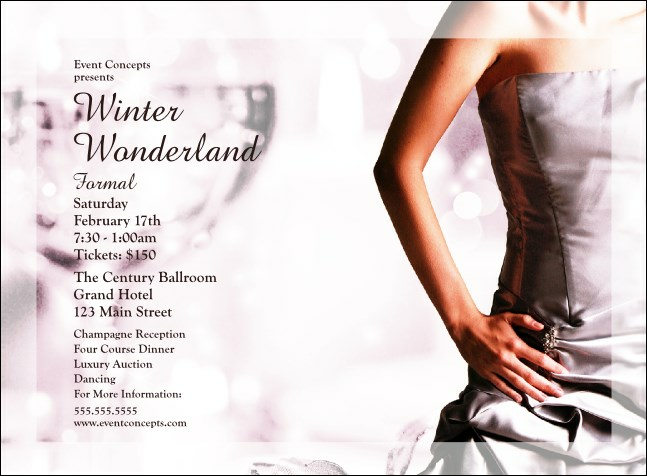 Dress your event for success with promotional materials from TicketPrinting.com.